A few weeks I went to visit the beautiful city of Richmond Virginia. Living in the DMV with beautiful surrounding states to explore it's a shame I haven't explored more. Back in 2015 when my husband and I were moving to the D.C. area and looking for a place to live, my husband put Virginia on the table. I don't know why but I automatically said no. I think it was because the only memories I have of Virginia is when I use to visit Virginia Beach when I was a kid. You guys know I'm a city girl and need a city life near me wherever I live. After my visit to Richmond last week, another part of Virginia I laughed at myself because Virginia is so big and has so many beautiful cities like Richmond. I was mesmerized by the beautiful houses, cobbled streets, gorgeous churches, views, and so many pretty streets to snap photos in. It was definitely nice to take pictures in a different area than the normal. If you follow me on Instagram then you've seen a few pictures I've shared with you guys from Richmond. Like monument avenue and the beautiful churches there. Such a pretty city! 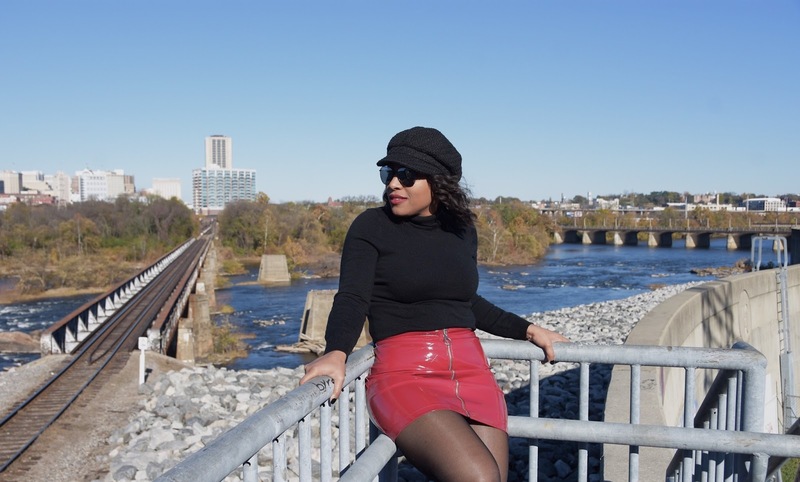 The weather was perfect so this patent leather mini skirt was fit for the occasion. I'm going through a red phase right now, where I want to buy everything red. 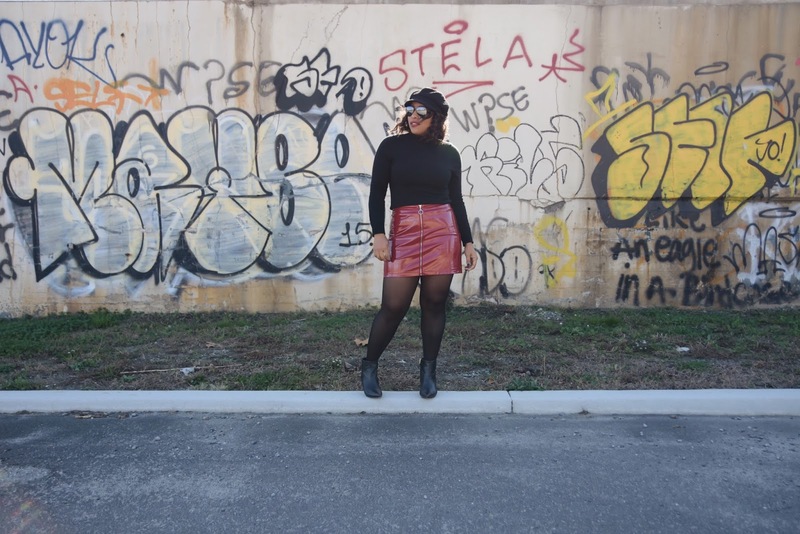 A patent leather skirt was on my list of red things. Lol. I purchased it at Forever21 for less than $20. I paired it with all black everything and added this leopard print jacket. This jacket is one of my favorites because it adds a touch of chic to anything I pair it with. This is one of my favorite looks to date. Simple, chic and a little trendy. If you are visiting the DMV area, Richmond is a must! I promise you will fall in love with this city. One of my favorites cities ever! And that mini skirt is the best!! Love it!